With five intuitive state-of-the-art noise reduction tools, Restoration includes everything you need to revive damaged recordings. 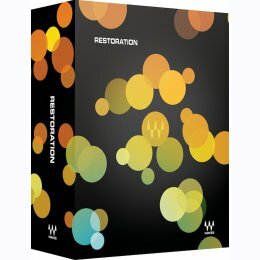 Whether you are rejuvenating old vinyl and shellac discs, protecting archival and field recordings, or fixing deteriorating film and television soundtracks, Restoration is the solution. Featuring real-time noise profiling, innovative transient preservation, and increased low-frequency resolution, Z-Noise truly is a revolution in noise reduction. With simple, intuitive controls similar to those found on traditional dynamics processors, X-Noise is perfect for removing tape hiss as well as air conditioner and computer noise from individual tracks, complete mixes, or damaged recordings. Featuring a friendly interface that’s a snap to learn and use, X-Hum uses eight harmonically linked notch filters to attenuate ground loop hum, DC offset, and low-frequency rumble caused by turntables and tape machines. Ideal for restoring vintage vinyl and shellac records, X-Click removes strong transient noise like clicks, spikes, switching noise, and digital crosstalk while preserving the sonic integrity of your source material. X-Crackle employs the latest psycho-acoustic algorithms to remove crackles and surface noise from vinyl records and damaged recordings, with results equal to or better than more expensive dedicated hardware solutions.